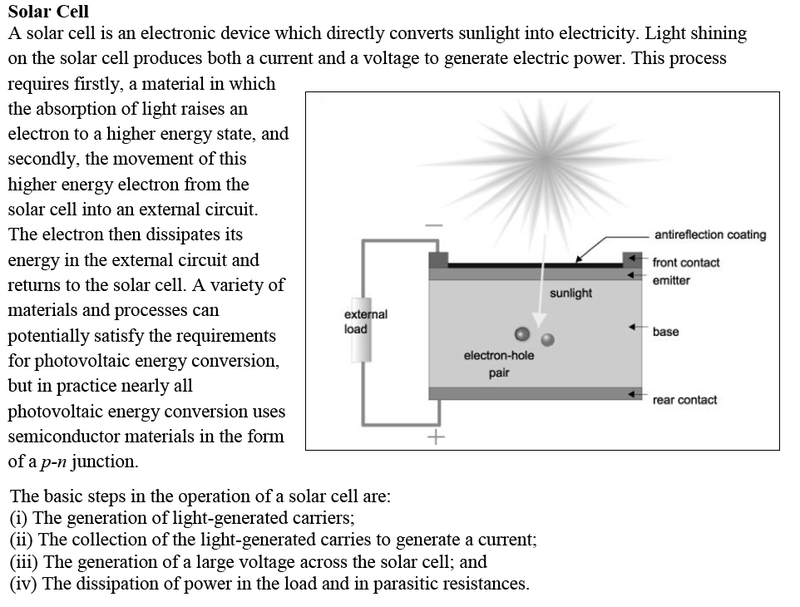 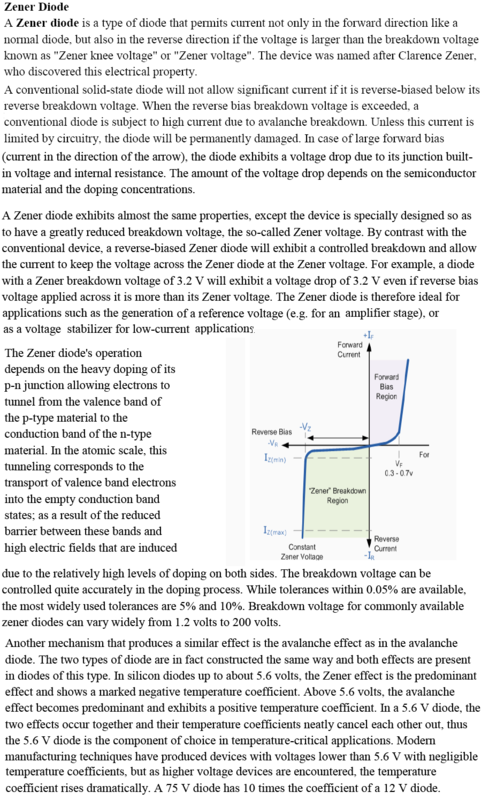 Get Chapter Notes (Part - II) on Semiconductor Electronics: Materials, Devices and Simple Circuits of CBSE Class 12th Physics. 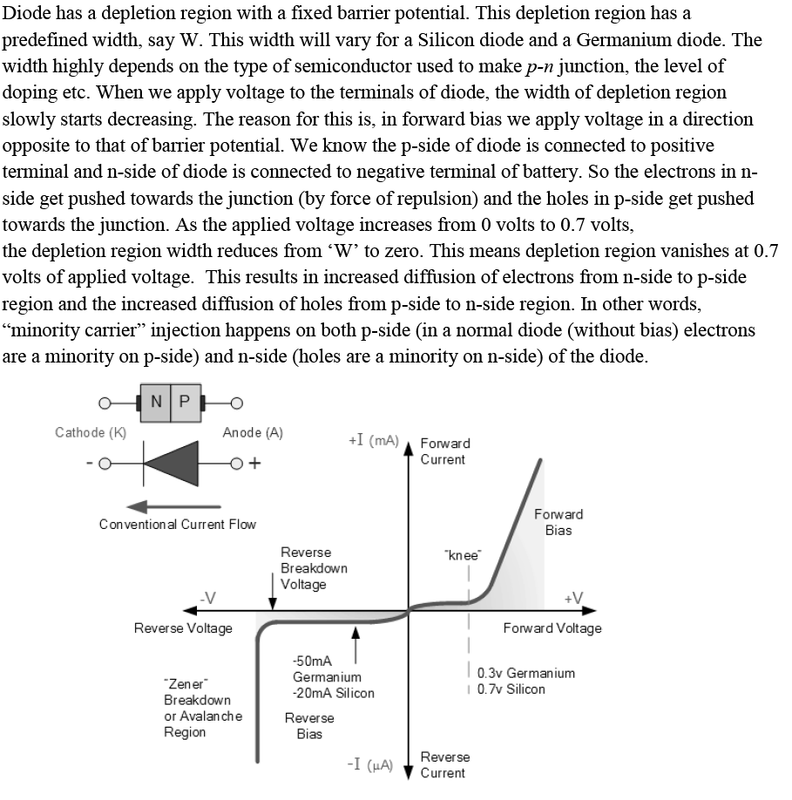 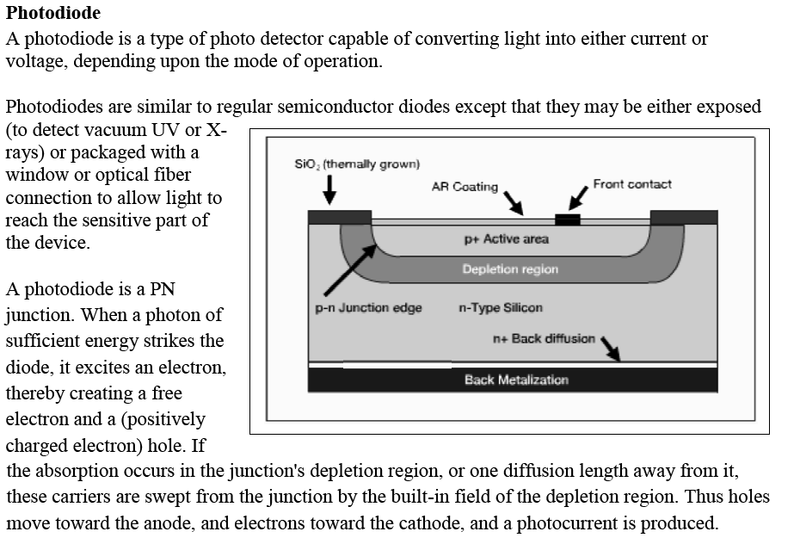 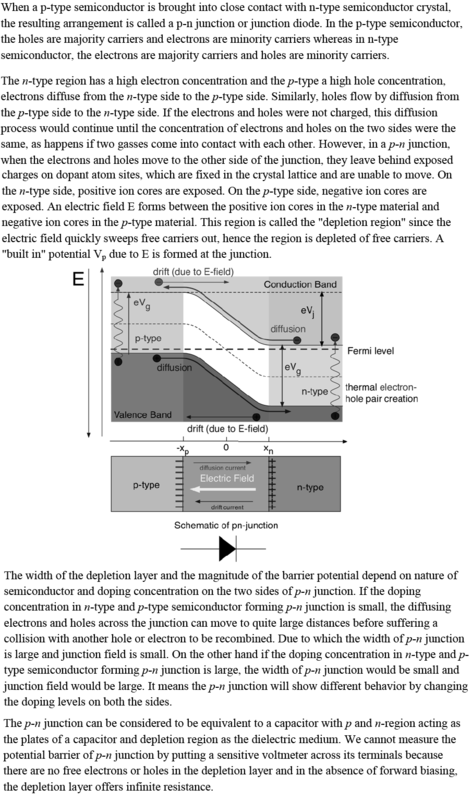 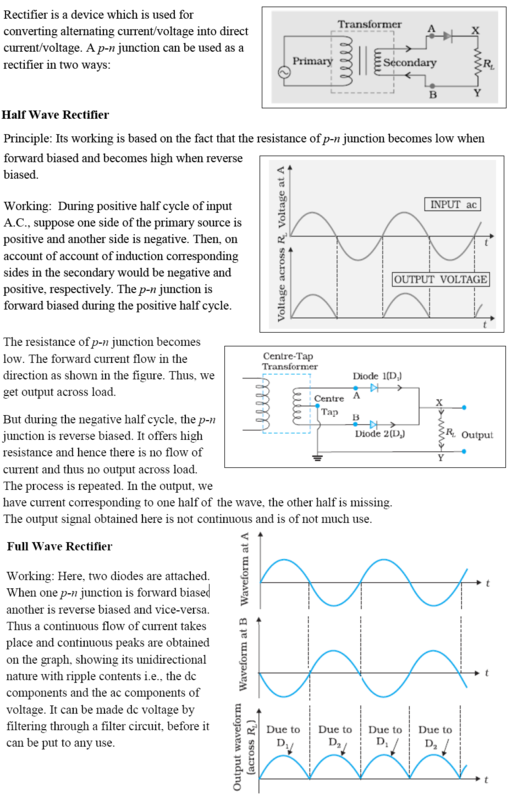 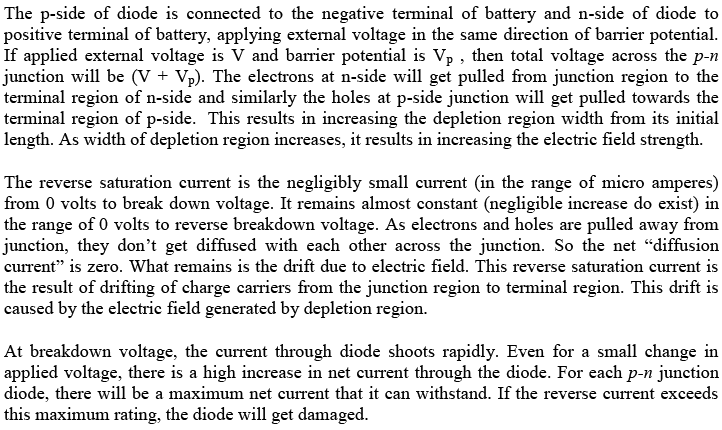 Topics covered in this article are: P – N Junction, P – N Junction under Forward Bias, P – N Junction under Reverse Bias, Junction Diode as Rectifier, Half Wave Rectifier, Full Wave Rectifier, Types of Junction Diodes, Zener Diode, Photodiode, Light Emitting, Diode (LED), Solar Cell. 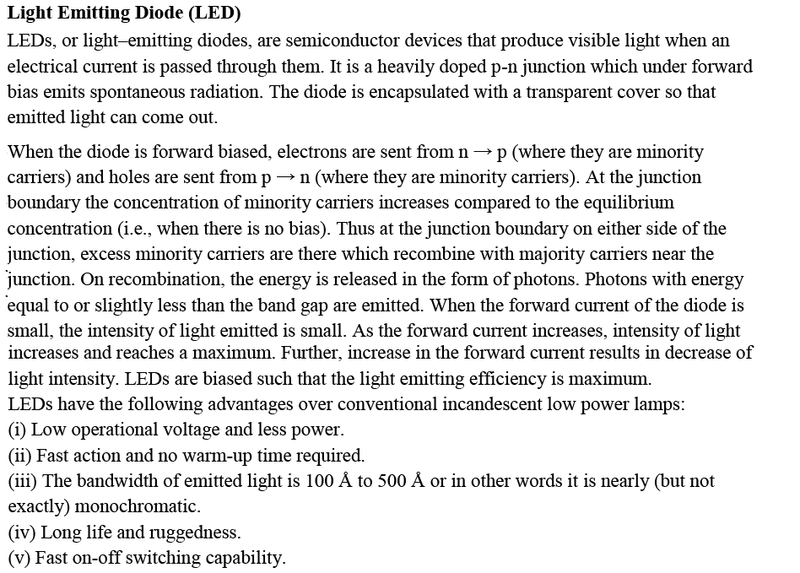 The short notes given below on the above-mentioned topics and sub-topics are very important for board and competitive examinations.